1. Residential prices in regional centres outside of Auckland that have low unemployment and housing supply shortages will experience further price inflation, while Auckland will undergo an extended period of consolidation. This will have ripple effects throughout the development industry. A levelling off in sales prices and rates of sale with stubbornly high development costs will lead to a cyclical high in deferred and abandoned projects. This will counterproductively reduce future supply that is needed to unlock more affordable prices. While KiwiBuild will underwrite certain projects and enable supply, it’s not a long-term silver-bullet solution. 2. High house prices, positive attitudinal shifts towards renting and rising legislative and tax requirements on the ‘mum-and-dad’ Private Residential Sector (PRS) in 2019 will result in more companies entering the housing investment market. Following on from positive offshore experiences, this will drive purpose-built projects for long-term renting (known as Build-to-Rent or BTR) as well as investment vehicles and funds undertaking large scale investments of residential projects for Invest-to-Rent (IVR) products. While there are only a handful of these projects currently, the number will more than double in 2019. 3. Total annual sales value of commercial office, retail and industrial property in 2019 will fall just shy of the forecast $10 billion year of 2018. This is due to additional legislative compliance and potential tax changes in 2019 that will add complexity, costs and time delays to the sales process. Approximately 85% of the properties that will sell in 2019 will have an asset value of $2m or under and be highly sought after by investors and owner-occupiers. 4. Numerous opportunities in the prop-tech space will emerge with the release of 5G-ready smartphones in 2019. Both landlords and occupiers stand to benefit from the advances in technologies that 5G unlocks. New Zealand will be geared up but waiting in anticipation as our 5G mobile network is only expected to be available in late 2020. 5. The flexible workspace sector will forge ahead on its own growth path in 2019, undergoing a period of maturity in New Zealand. Landlords that focus on more traditional fixed-term leasing will try to diminish the disruption from the sector by embracing flexible workspace initiatives like tenant events and seminars, technology-based building and operating solutions and customer-centricity supported by community managers. 6. 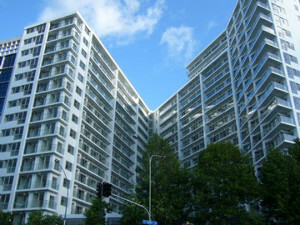 High-value office assets will receive strong interest from offshore purchasers that entered the New Zealand market in 2018 looking to expand their presence, but they will face stiff competition from new offshore entrants and locals spurred on by strong levels of tenant demand, rising rents and low interest rates. 7. Industrial precincts across New Zealand will experience an increase in occupier demand that will require a new wave of development activity in 2019. This will lead to one of the biggest years of uncommitted industrial developments commencing. This will prove fruitful. 8. As local economies grow, and the Government’s Provincial Growth Fund takes shape, the golden triangle of distribution and logistics activity between Auckland, Hamilton and Tauranga will become an elongated parallelogram reaching further north into Whangarei, south into Palmerston North and east into Hawke’s Bay. 9. Physical retail stores capture almost 90% of worldwide retail sales, but it will be a challenging year ahead for many retailers as online and offline competition mounts and discretionary spending becomes more selective in 2019. This will see a re-rating of retail asset values in 2019 with those likely to experience uplifts being the owners of assets with supportive demographic catchments, not overly weighted towards clothing and fashion and those transitioning into more experiential, entertainment and food and beverage offers. 10. Big name offshore retailers that have been waiting in the wings will dip their toes in the New Zealand market in 2019 with the opening of some big new retail centres in Auckland. It’s hard not to expect the likes of Uniqlo, Muji, Apple and others finally setting up stores in these flagship centres and expanding our international retailer presence, but will 2019 be the year we get our first top-10 global retailer – Amazon?